Their are many different types of belts. Conveyor belts, timing belts, seat belts, weight lifting belts, etc. Fortunately, you already know that Apparel Search is a "fashion" website. In this section of our website we will be discussing the type of belt that holds up your pants. A belt is a strap or girdle that is a part of casual or formal attire. Although leather belts were initially used with men's pants, women are using a wide variety of belts presently with different attires. Belts are no longer simply for formal wear. They are an accessory that makes a fashion statement in today's market. Belts come in a wide range of materials. Plastic, jute, fabric, wood, reptile skins, suede, straw are a few examples of varieties of materials being used to make belts in today's market. Although leather belts are still considered the most common, their is truly a huge variety of materials to consider. Fancier belts designed using beads, sequins, or other jewels can also be used with women's evening wear. Belts that come along with the garment such as a dress are the exact size for that apparel. Such belts usually do not go well with other garments. Sashes are another form of belts that are made of thin materials such as lace or cloth. They look similar to a wide ribbon and suit almost every kind of dress. Most of the belts are adjustable and are a one size fits all. However, there are also belts that are specifically made for a particular sized waist such as cinches, corsets or contours. These define the shape of the wearer so they are available in particular sizes to suit the body of a customer. Although belts are worn around the waist, a specific kind of belt called the bandolier is worn over the torso and shoulder. Some belts such as the suspenders and cartridges have loops, braces and suspenders, usually used to carry ammunition. Many informal belts these days provide the option for a cell phone and other small items. A wide range of other kinds of belts is also available in the market to go with practically every kind of attire. Many belts come with a wide variety of buckles ranging in all sizes as per the customer's interest. They are an integral part of the belt. A buckle can be made of metal, wood, plastic, or other materials. They some times have a clasp method made of Velcro or buttons. Belt buckles that are on fancier belts for evenings wear are studded with stones or embroidered, the most popular and expensive being the rhinestone ones. These belts are for show rather than for any real purpose. Latest kinds of belt buckles in the market are the digital ones, scrolling ones and the light up belt buckles. These are especially good for a night of dancing. Buckles on cowboy belts, cowgirl belts, Texas belt buckles, war belts, military belts etc. are a few other different kinds of belt buckles seen in the market. Some consumers prefer to get customized belt buckles that have some form of engraving or other message on them. Silver buckles can also be custom made on order. Gold belts and designer belts set with turquoise buckles can also be custom made for some exclusive kinds of belt buckles that would be noticeable. Some individuals also wish to own some uniquely designed belt buckles that are exclusively made on order. Large sized buckles go well with belts made of animal and reptile skins like kangaroo hide, alligator skin, brown snake skin, crocodile skin and black snake belts. On some belts, the belt buckle can be changed. Consumers that own this type may prefer to keep a few buckles so they can be change the buckles whenever they fancy. Custom belts are made on exclusive order from the customer. Although their are tons of belt options in the market, their are individuals who would still prefer to own something unique and fancy. Fashion designers come out with belts that are made of a different material and certainly make a statement of uniqueness. Some designers also come up with single pieces that would be a hot sell with customers preferring unique belts. However, there still exist individuals who might prefer to get a belt custom designed to ensure its uniqueness. Custom-made belts can be manufactured as per the customer's imagination and budget. Individuals who can afford these can even get semi precious stones such as turquoise and rhinestones studded into the belts. Also, manufacturers are even able to produce gold- and silver-studded belts on customer's order. Many customers prefer plain or simple belts with elaborately designed belt buckles. Belt buckles made of diamonds, or gold or silver lend a classy touch even to the simples of belts. Although top designers rarely take up custom defined orders, there are a few dealers or manufacturers who provide such services exclusively to select clientele. Shopping around might help an individual pick up the best deals in the market. 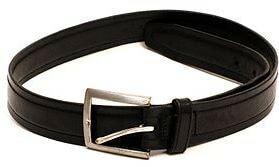 Individuals whose waist sized belts would not be available in the market can also get them custom made for comfort. Also, custom-made belts would be available in all possible shades and would go excellently with eveningwear. Why are leather belts so popular? Belts made of leather are nearly always in vogue. Even with belts being made of newer fabrics and other materials like plastic, jute and reptile skins, the classic leather belt maintains popularity. It is very important to take very good care of leather belts, as they are more prone to deterioration than most other materials used to make belts. Since leather is animal skin, it consists of fibers that are liable to break if not lubricated regularly. If the fibers become dry then they tend to break or crack that would be visible on the belt. If you would like yours to last a very long time, it is suggested that leather belts be lightly coated with leather dressing at least half yearly to maintain their durability and appearance. Leather belts can be expensive; however they can be used without any problem for a number of years as long as they are kept in condition. They are classy to look at and usually make an impression when worn with formal or casual clothes. It would be good practice to even apply a layer of dressing to new leather belts, as this would ensure longer life and durability. Available in the market are some excellent leather dressings that can be used to make the leather belts always look new and healthy. These lubricants would be petroleum based and usually take good care of the belt for about 5~6 months. Oxidation and other abrasions would be controlled by this coating or dressing and would ensure that the leather belt is in good condition even for a number of years. Leather belts are susceptible to oxidation if not properly taken care of. Oxidation would result in the cracking or breaking of the belt surface due to dryness. Regular leather dressing would be able to put a stop to this problem. Also, leather belts are prone to oxidation if stored and not regularly lubricated with the dressing. Most of these leather dressings are chemical-free and are not very harsh on the leather causing further deterioration of the material. Also, they provide enough lubrication to make the leather durable and polished. 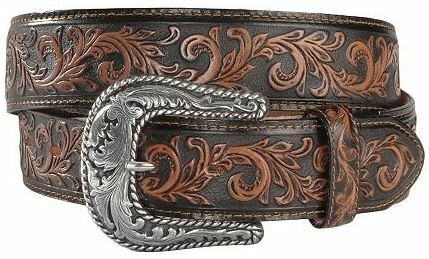 No western attire would be complete without a western belt with an authentic looking belt buckle. It definitely gives a feeling of the Old West as seen in the movies. Western design belts go back as far as the beginning of the last century. Western belts are made in western American influenced designs. They are usually made of the finest leather. Handmade belts are more popular and of course more expensive that the factory created ones. More fancy ones would be studded with rhinestones. Belts made with rhinestones are especially popular among cowgirls. Although the most popular colors for western belts are tan or brown, they are now available in other bolder colors that would be suitable for both men and women. Various designs are also available along with a wide range of western buckles. Western belt buckles come in unique designs. Many of these designs have been influenced by the old west and few of them have actually completely changed from the original designs. Certain characteristics that need to be available with a cowboy belt or a western belt buckle can only be changed so much. However, whatever the design might be, these belts and buckles certainly tend to make a big impression. 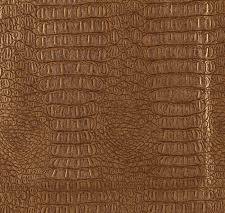 Although leather is still the most popular material being sued to make western belts, manufacturers have ventured into new areas of designs and styles by using snake, crocodile, and alligator skins to make western belts. These have excellent original designs, and tend to look unique. Belts with embossed, printed or stamped designs are also quite popular with cowboys and cowgirls. Western concho belts, and belts that have a basket weave designs are also a popular kind of belts. These belt designs are a staple for active cowboys and cowgirls. They also become trendy at times for people that don't normally live the cowboy lifestyle. Learn more about westernwear. Money belts are mostly used while traveling to keep the money safe. Money belts are basically security wallets that ensure that the money is safe while traveling. Since a money belt would be close to the body they are usually not susceptible to pickpockets. Money belts can be secured under a shirt or blouse and are not easily detectible. They ensure safety when traveling long distances as they are closer to the body and so are more secure. All the travel documents and other valuables would be safer compared to when they are in the luggage or a handbag as a pickpocket would not be able to access money belts. Money belts come in perfect waist sizes and are mostly waterproof. The material also soaks up the sweat and does not allow the sweat to seep through to the money within, hence keeping the money safe. Money belts are made with a variety of materials such as cotton, poly-cotton, silk, nylon and other soft materials that would be comfortable to wear and at the same time are strong and durable. You may also have interest in viewing our men's belt guide, women's belt guide, and children's belt guide sections. If you have enjoyed learning about belts, you may want to learn about other accessory categories. You are welcome to check out the handbag category to continue your exploration of fashion accessories.